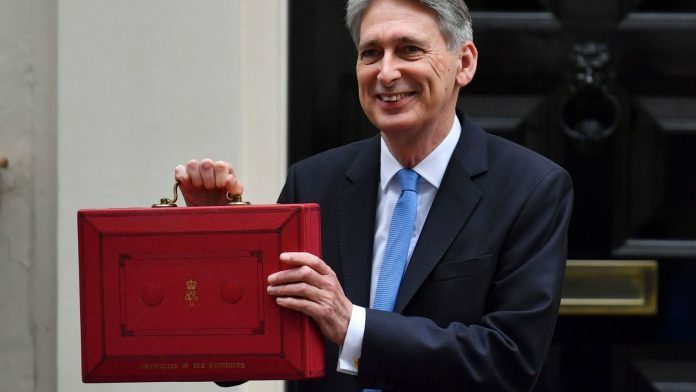 Philip Hammond has announced the date of this year’s autumn budget. The Chancellor said he would reveal the government’s spending plans for next year on 29 October – exactly five months before Britain is due to leave the EU. He promised to deliver a plan that would support public services while building a stronger economy. Sky News’ Economic Editor Ed Conway said the date was “a fair few weeks earlier than expected”. I’m pleased to announce the Budget will take place on 29 October. The autumn budget is the biggest day in the financial calendar, as plans for tax and spending changes over the next 12 months are announced. All eyes will be on how Mr Hammond aims to fund giving the NHS an extra £20bn a year by 2023, a policy announced earlier this year. It equates to a 3.4% rise annually – but is less than the 3.7% average increase the NHS has had since it was created in 1948. The 2018 budget will also be the last before Britain leaves the EU, expected to be on 29 March 2019.